For the first townland of 2018 I’ve chosen one with a familiar name: Knock. An Irish word for hill – Cnoc – has become “Knock” in English and has found its way into many placenames. Perhaps the most famous one is Knock Shrine in County Mayo. County Down has its own share of Knocks, including Ballyknock, Magheraknock, Knocksticken and two which I have already visited – Knockinelder and Knocknagoney. 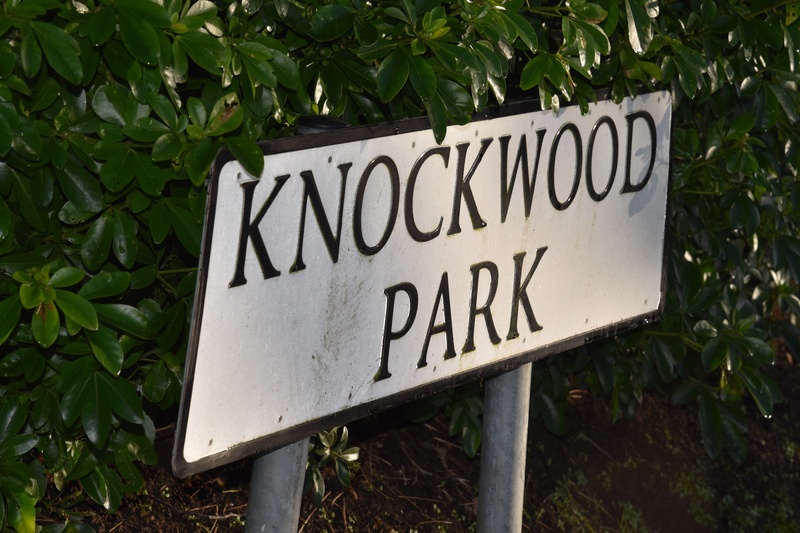 Today I can cross one more off my list – Knock in East Belfast. The shop and filling station behind that sign are actually in the townland of Carnamuck, but I chose this spot to start exploring because it is the entrance to the Connswater Community Greenway. The path is a rough guide to the townland boundary. To the right is Knock; to the left is Carnamuck. The tall building in that photo is Clarawood House, the block of flats which I first spotted from the wildflower meadow in Multyhogy. I said at the beginning that the name Knock came from the Irish Cnoc meaning ‘hill’. In fact the older version of the name was Cnoc Cholm Cille meaning ‘Colmcille’s Hill’. Where is the hill? 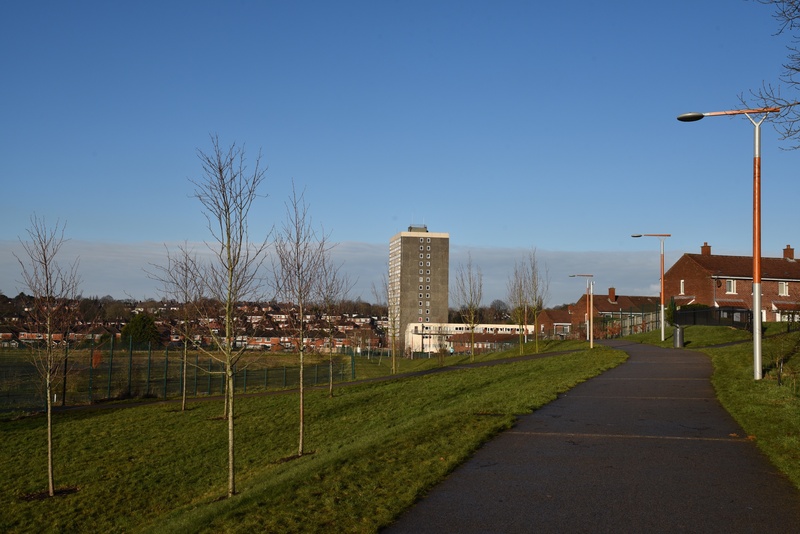 It rises from the junction of the Knock Road with Shandon Park and Sandown Road. At the top is an old burial ground. 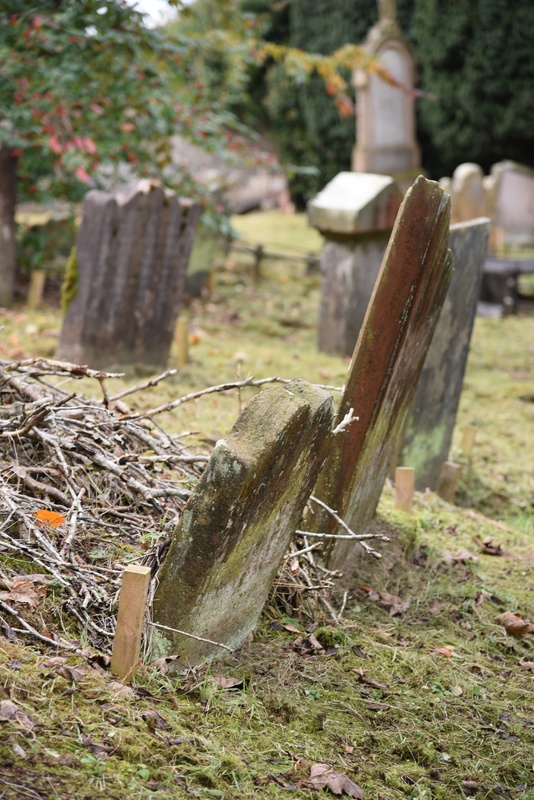 In Knock cemetery I found gravestones with inscriptions from Castlereagh, Strandtown and Gilnahirk but none for Knock itself. 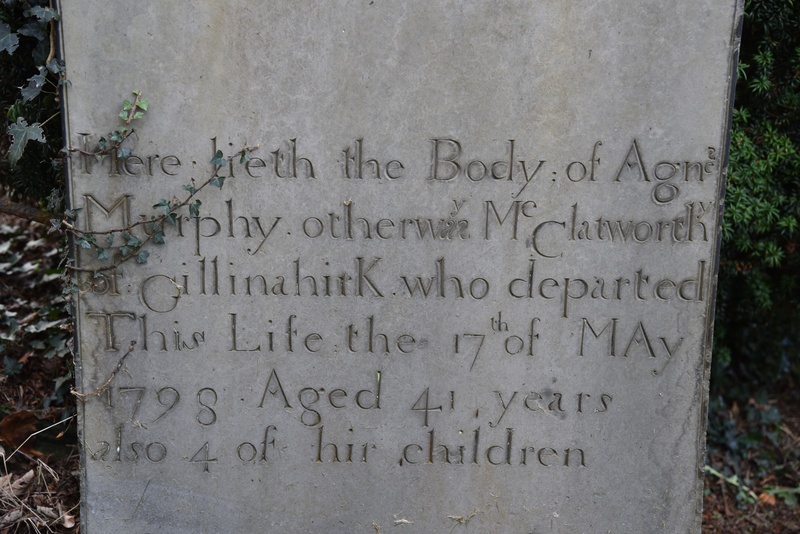 Here is one dated 1798 for a Gilnahirk family. 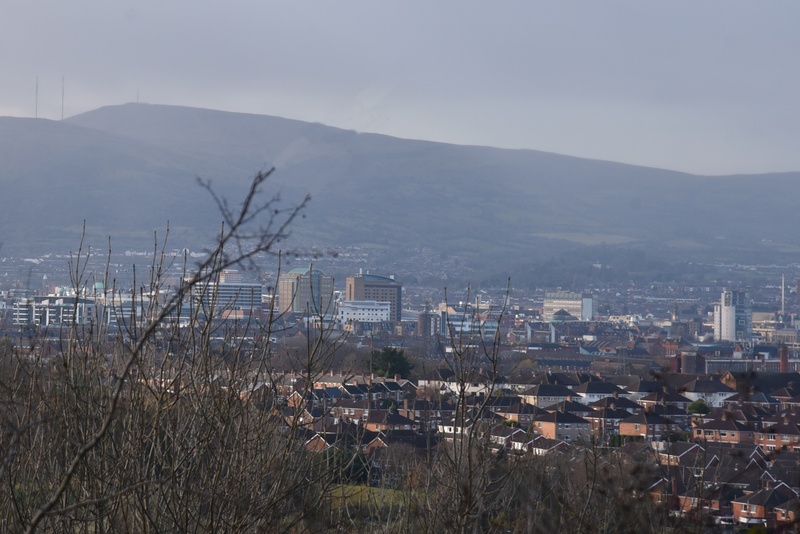 The height of the graveyard gives some good views over Belfast. The Knock River flows through Knock townland and on into Multyhogy and Ballyhackamore, before it meets the Loop River at the Hollow and joins with it to form the Connswater. I first glimpsed the Knock River in April 2015 when I was blogging from Ballyhackamore and contrasting the meandering river with the 19th century railway and 21st century Comber Greenway. It has taken me three years to get back to Knock. 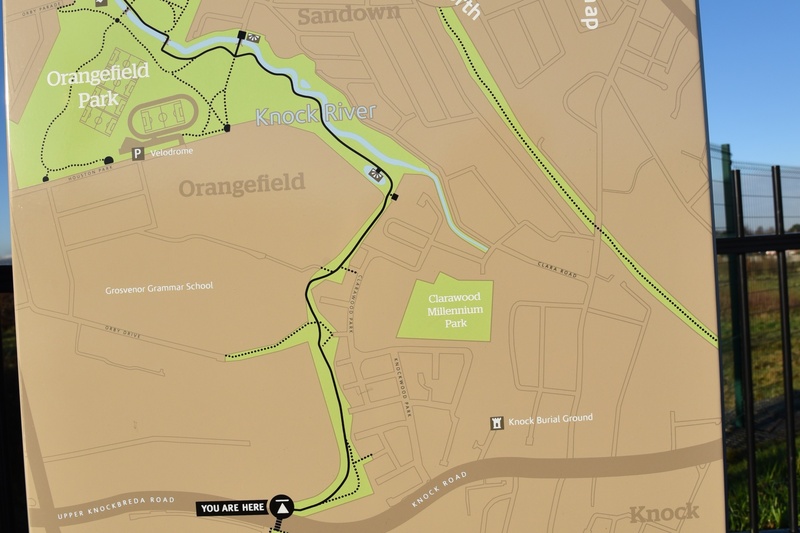 And in the meantime part of the river has been diverted into a new channel, in an attempt to reduce flooding – click here for a report in the Belfast Telegraph. Many of the streets in this area have “Knock” in their name. The biggest and busiest is the Knock Road (A55 Outer Ring). From there you won’t see the Knock river, so an easier guide to the northern boundary of the townland is the street called Cherryvalley. By the time you’ve passed Cherryvalley and are slowing for traffic lights at the King’s Road, you have crossed into Ballycloghan townland. 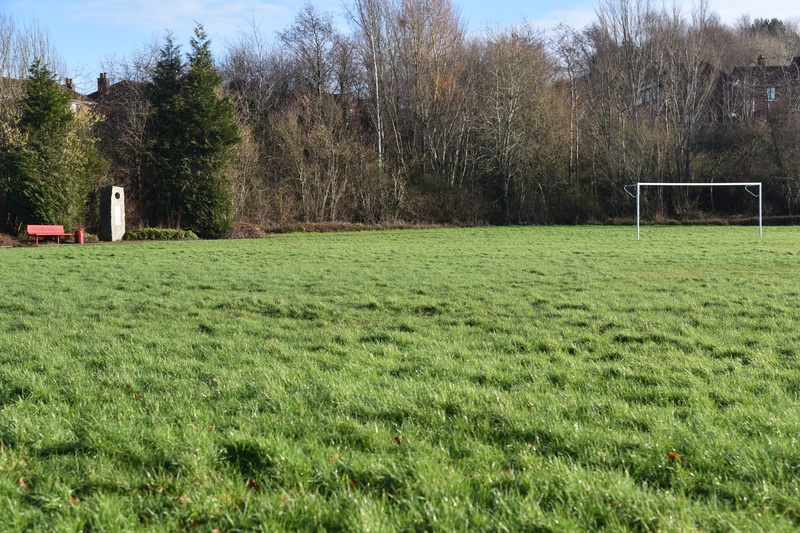 I will finish with something that is NOT in this townland. Knock Golf Club is on the edge of Dundonald (in Ballymiscaw townland). The club was founded in 1895, and they did play golf on a nine hole course in Knock townland until 1920, when they moved to their current site. The original site in Knock was extended and became Shandon Park Golf Club. 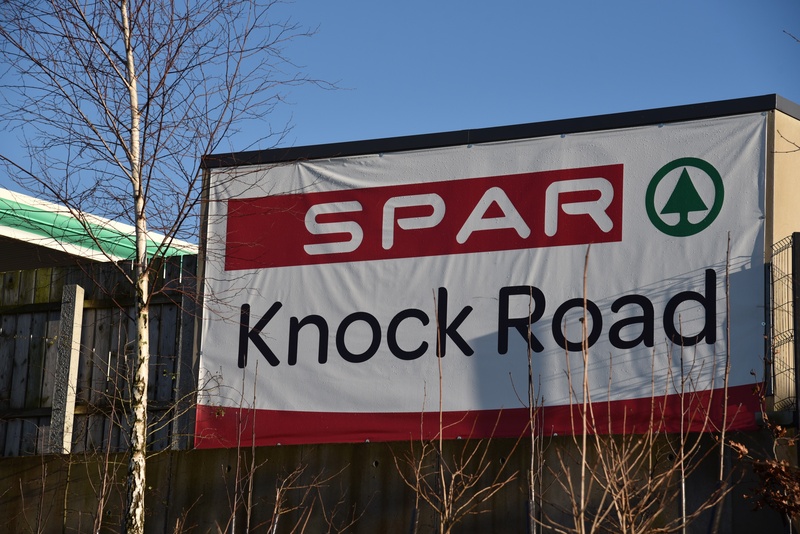 Which townlands border Knock? To the north, Ballycloghan. To the east, Tullycarnet and Braniel. To the west, Carnamuck, Multyhogy and Ballyhackamore. 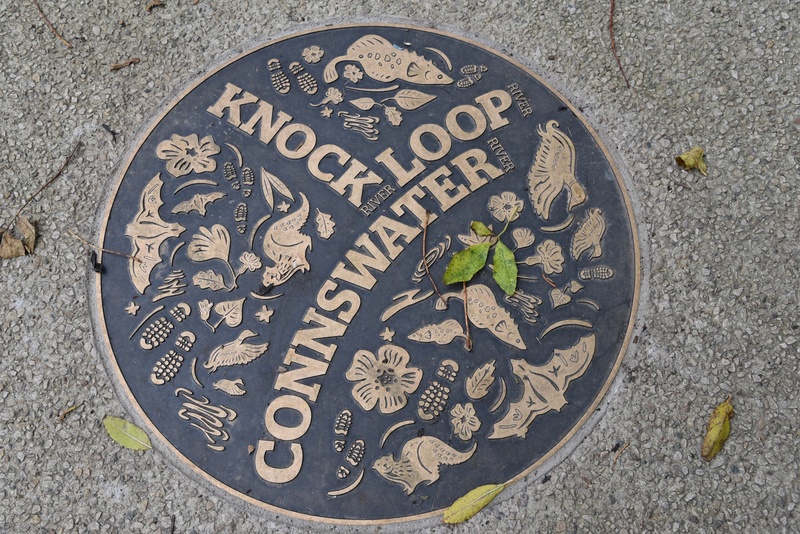 If you are walking or cycling along the Comber Greenway, you pass through this series of townlands, from east to west: Ballycloghan, Knock, Ballyhackamore. 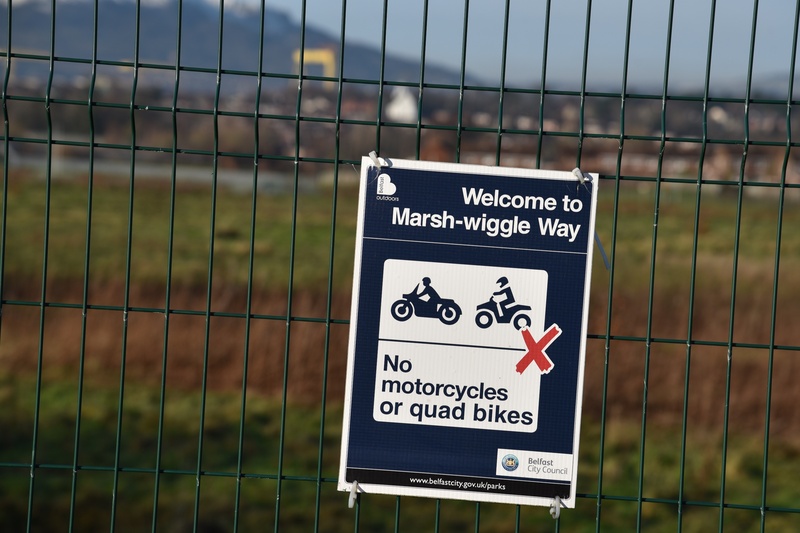 Click here to read about the opening of the Marsh-wiggle Way. How fun to have a reference in town to The Silver Chair. I wonder if it’s required reading for the children of the townland at school? Enjoyed your article!